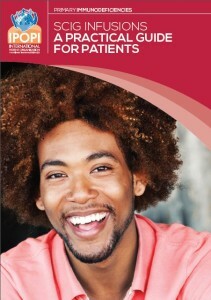 The latest series of IPOPI patient information leaflets have recently been released in Polish! 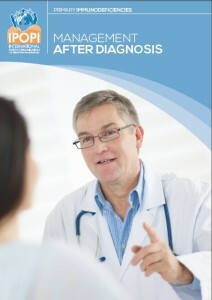 Our newest leaflets are now accessible to Polish speaking members of the Primary Immunodeficiencies (PID) community who can be better informed about PIDs and Gastrointestinal disorders and PIDs, PIDs and Respiratory Disorders, When to give Immunoglobulin replacement therapy, Management after diagnosis and SCIG infusions – a practical guide for patients. These Polish versions will soon be available here. IPOPI’s condition booklets, produced with IDF (US) cooperation in 2007, were initially released in six languages (English, Spanish, French, Portuguese, Russian and German). Since then, with the help of our National Member Organisations these condition booklets were translated into four more languages (Arabic, Romanian, Greek and Estonian). Estonian PID patients can now learn more about X-Linked Agammaglobulinemia, Common Variable Immunodeficiency and Chronic Granulomatous Disease. These three new translations will soon be available here.